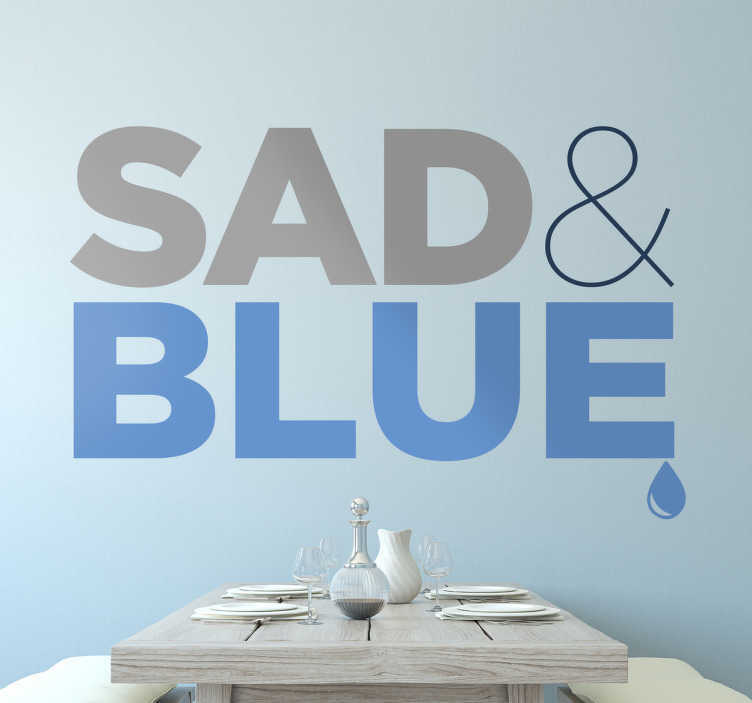 Wall Sticker with the message Sad & Blue, the word sad is coloured in grey while the word blue is coloured in blue, with a tear at the end of the word. Have you ever felt a little sad? Or do you like to listen to the blues? Then this sticker is for you! A wall decoration does not always have to be colourful and cheerful.This wall decoration can be applied to any flat surface in your home, office or business. This removable sticker is available in a variety of sizes.